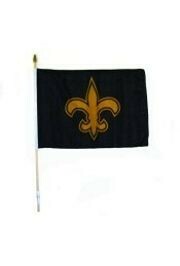 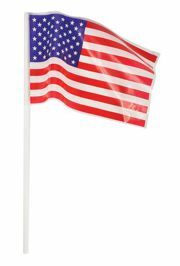 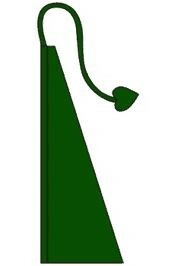 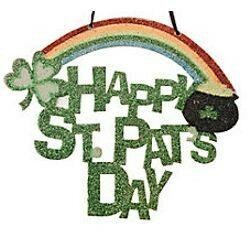 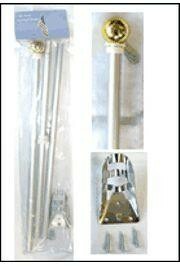 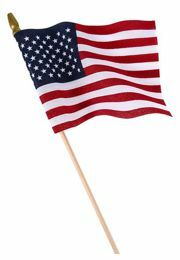 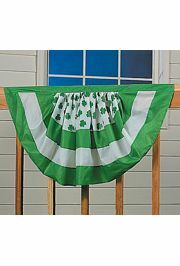 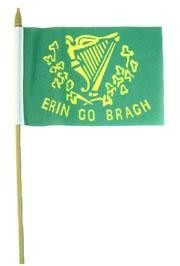 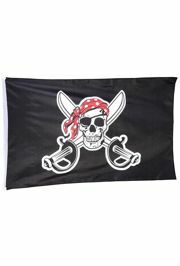 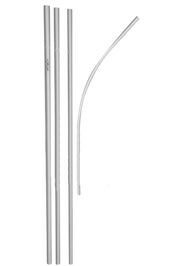 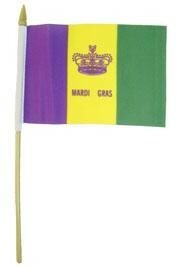 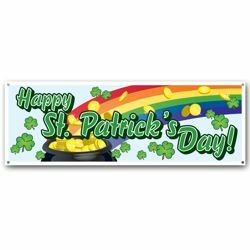 Flags and banners will let everyone know that you are in a festive mood for St. Patrick's Day. 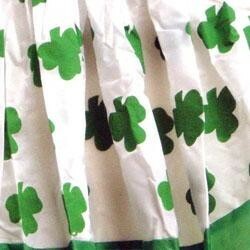 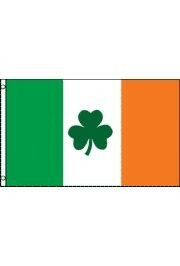 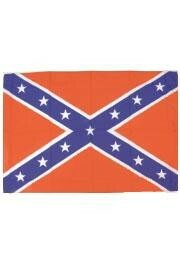 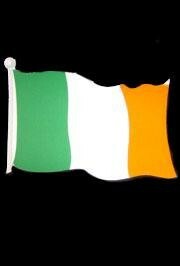 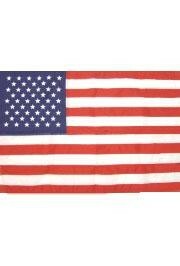 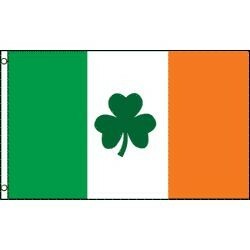 3ft x 5ft A Green/ White/ Orange St Patrick flag with a Clover. 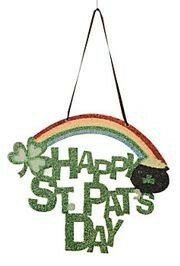 It is perfect for float decorating. 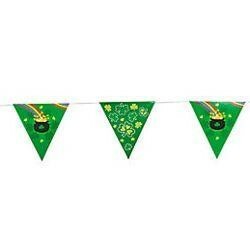 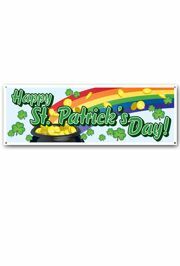 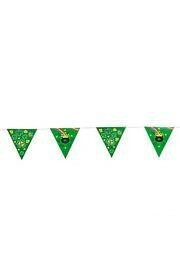 Green shamrock and pot-o-gold banners are perfect for St. Patrick's Day celebration.